For 30 years, until 2016, a sign featuring Peyto’s iconic portrait greeted visitors to Banff, just steps away from the Banff station. It embodied everything we know about “Wild” Bill Peyto, the outfitter, guide and park warden whose wild antics and hardiness made him a local legend. But few people know he carried that same fortitude and grit with him to war – that he, like many “Banff Boys,” left behind his post in the mountains to fight in the muddy trenches of World War I. 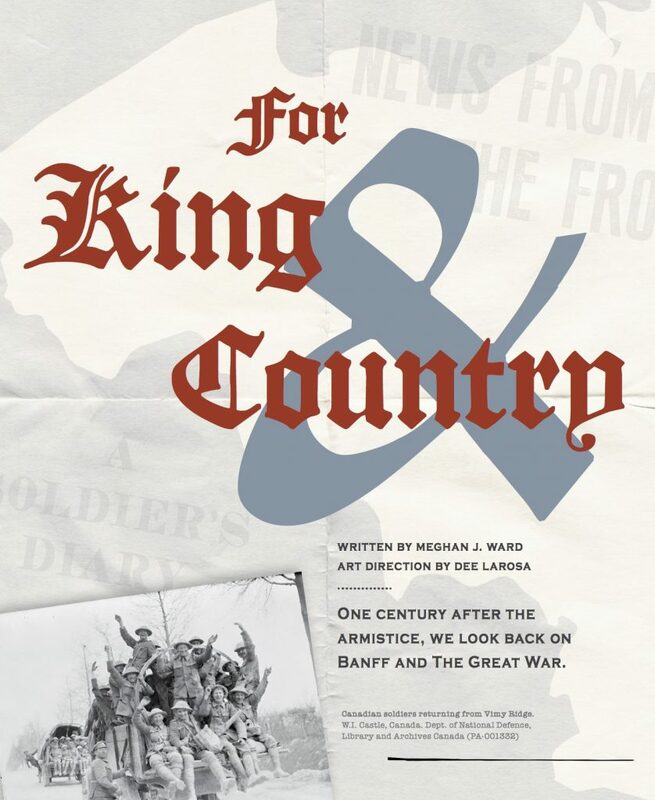 The Great War left no one, anywhere, untouched, and Banff was no exception. Wartime called people to unimaginable acts of bravery. It demanded ingenuity amidst uncertainty, forever changing the face of the national park. The following stories provide a glimpse into what transpired for Banff and its residents during that fateful era after war broke out on July 28, 1914.